BEIJING, Nov. 8 (Xinhua) -- Premier Li Keqiang on Thursday called for more efforts to maintain stable performance and healthy development of the economy against increasing pressure at home and abroad. Li made the remarks when discussing with economists and entrepreneurs about current economic trends and development in the next year during a seminar. China has taken coordinated efforts this year to stabilize growth, propel reform and prevent risks and ensured the economy to perform stably on a high base, Li said. "New growth drivers are robust, and employment goals are fulfilled ahead of schedule." However, Li admitted that new downward pressure emerged amid complicated domestic and foreign circumstances, and the real economy faced more difficulties, stressing that the problems cannot be underestimated. China will be fully prepared and map out development in the next year, with measures to make better use of economic resilience and potential and foster new economic pillars, Li said, stressing the economy will perform in a reasonable range and advance toward high-quality development. China will maintain the continuity and stability of macro-policies, make its economic policies more coordinated and targeted and create a stable and predictable macro environment, Li said. In an effort to advance the supply-side structural reform, China should fix weak areas, promote industrial upgrading and move more boldly to cut taxes and fees, Li said. The country will introduce effective measures to alleviate the financing difficulties of private and small and micro businesses and place more emphasis on employment in macro-policies, Li said. 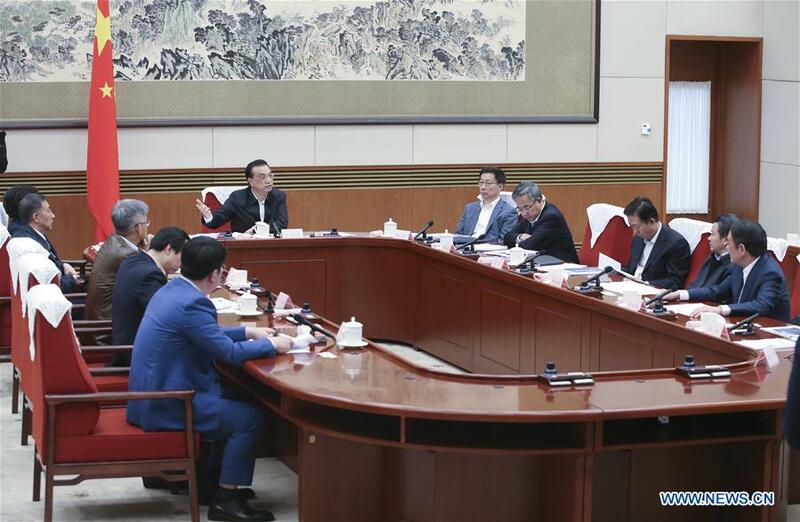 To facilitate development, Li called for measures to improve business environments and policies according to the demands of enterprises and unleash market vitality and social innovativeness. China will further reduce administrative approvals and expand market access for private businesses, encouraging them to enter the infrastructure sector and ensuring fairness of competition, Li said. Entrepreneurship and innovation will be promoted to create jobs, and businesses will be encouraged to make technological breakthroughs and enhance their competitiveness, Li said. More energy will be channeled into expanding opening-up, Li said. "China will continue to equally treat state-owned, private and foreign-funded businesses, facilitating their investment and operation and better protecting their rights and property." Economists and entrepreneurs shared their viewpoints on economic situation and policy, the private sector, technological innovation and job markets at the seminar. Vice Premier Han Zheng also attended the meeting.